Session of African Union Commission(AUC)'s Africa Talks Jobs(#ATJ2017) in Addis Ababa Ethiopia , AUSC to participate in the Fostering Entrepreneurship in Youth : Creating Open and Innovative Mind-Sets. Tuesday ,October 31st,2017,10:23 a.m ,Addis Ababa,Ethiopia Local Time. AUSC to participate in the Fostering Entrepreneurship in Youth : Creating Open and Innovative Mind-Sets. Tuesday ,October 31st,2017,10:23 a.m ,Addis Ababa,Ethiopia Local Time. "Entrepreneurship is a way of thinking that is opportunity obsessed , holistic in its approach and leadership balanced for the purpose of value creation": Adams & Spinelli- Entrepreneurship in the 21st century-New Venture Creation. 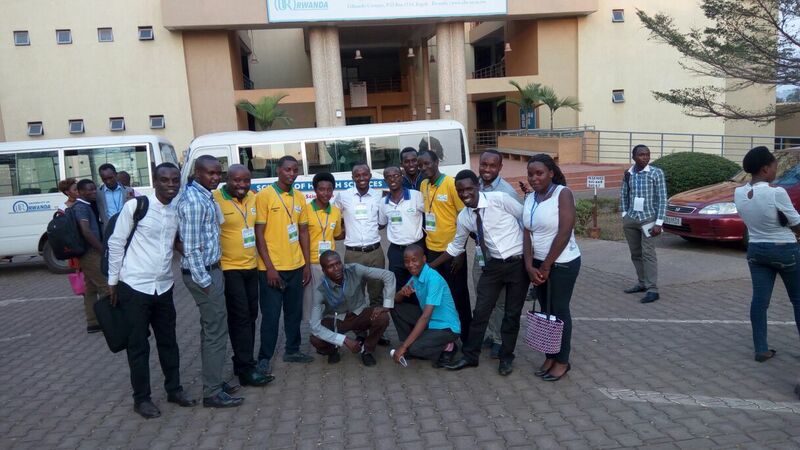 The African Union Students representing youth to engage in Education and academic based /research based entrepreneurship to develop Africa, the introduction of the 1st Ever Continental African Youth Congresses (1st All Afrikana First Youth Congress (1st AAFYC 2017) will help to keep assembling entrepreneurship based projects of Youth of Africa in Academic Field to make sure they find funds from African development Bank(AfDB) , African Union Commission (AUC) , Word Bank(WB) and United Nations (UN) to meet the Sustainable Development Goals (SDGs) in the continent of Africa. 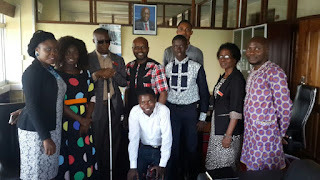 AUSC shared the projects that give hope to have a self-reliant African Young generation in their ways to create new ideas of entrepreneurship and jobs creation , with capacities to get long term loans to support their educations, businesses and innovative ideas . The AUSC has mentioned the introduction of the first ever existed African Youth Bank operating on the Intercontinental level, the African Students' International Development Bank (ASIDB) that is being architectured from the African Students' International Development Fund (ASIDF) and will be able to fund the International African Students' Education Loan Board(IASELB) to provide long Term Education Loans to African Youth to pursue studies at highest levels and hence achieve the African Development based on Informal and Formal Education. AUSC shares the intercontinental projects that can benefit Africans with no discrimination of generations for today and in future, as in transformation process education is very crucial to assist in all created development policies by African Union(AU) and going with achievement of Sustainable Development Goals (SDG) in AFRICA and Worldwide. Therefore, Don't Forget to register for the 2nd All Afrikana First Youth Congress in Kigali -Rwanda, October 14th to 17th , 2018(2nd AAFYC 2018). Conference updates in Africa Talks Jobs(ATJ) Pre-Event to the African Union(AU)-European Union(EU) Summit to take place in Abidjan Ivory Coast, from November 29th to 30th, 2017. 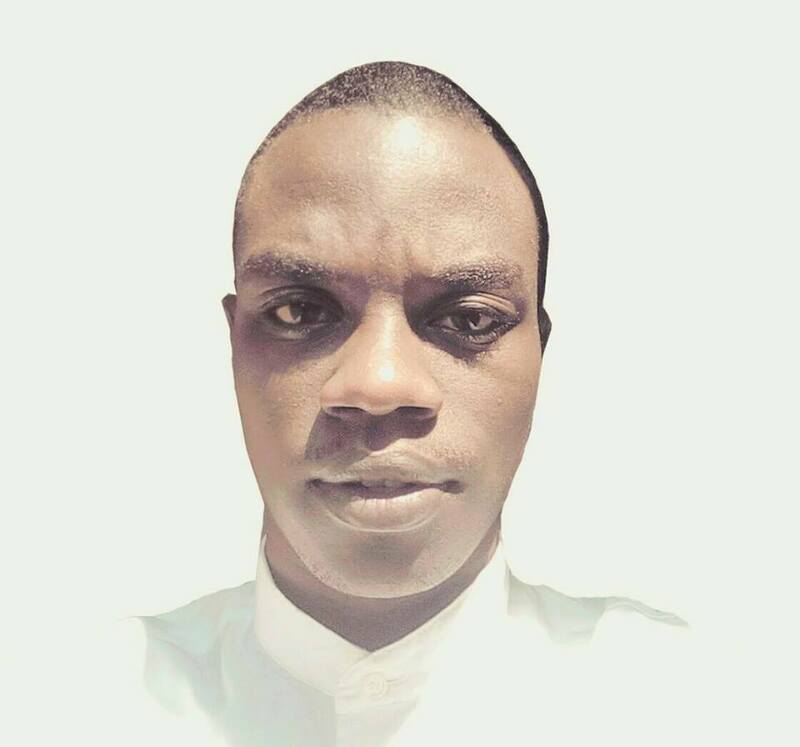 The New Markets -New Skills Demands in Africa- a conversation. This plenary conversation is investigating the potential of emerging economic sectors in Africa (I.e.ICT ,Tourism , Creative Industries) for employment , job creation and entrepreneurship and what new skills , knowledge and mind-sets these growing economic sectors require from job seekers . The conversation is inclusive and Youth are giving their points of view on new jobs that are created needing to focus on our African Traditional informal learning ,and grow African cultural based businesses. 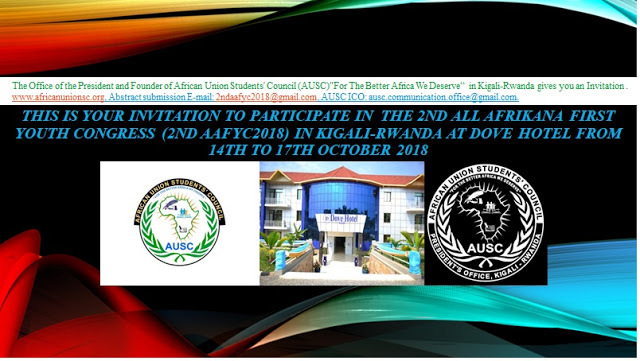 African Union Students' Council (AUSC) in put was to more include Youth in Education/academic business sectors to base on their Research Projects that are produced from different academic levels ,Diploma ,Bachelor , Masters , PhD and Professorial level and publish their works to get funds and start implementation of the projects . African Union Students' Council (AUSC)"For Th Better Africa We Deserve"
@ African Union(AU)' s Nelson Mandela Main Hall.